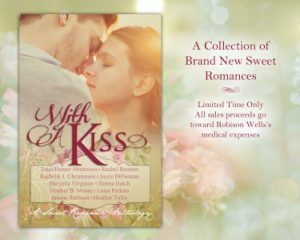 A group of ten amazing authors have each written a brand new sweet romance for this box set. There were several other people involved who donated for the production of this box set. When you preorder your box set today, 100% of the proceeds will go toward medical expenses for Robison Wells. You get 10 new stories and you can make a difference for an entire family. Rob is a talented writer who has helped so many other writers, myself included. He suffers from mental illness and has always been very open about his struggles. I know he is admired for how hard he works to support his family and still give back to the writing community. ORIGAMI GIRL by Danyelle Ferguson: Josephine loved teaching crafts at the children’s hospital until she was assigned to help Dr. Blake learn how to relate with his patients. As she helps the young doctor soften his sharp edges, relax his rigid folds, and open up to the people around him, she finds she can’t help but love the man he’s becoming. SABRINA’S HERO by Donna Hatch: For weeks, Sabrina daydreams about a mysterious gentleman who frequents the lending library. Is he perchance an agent for the crown? A returning war hero? A highwayman? A fateful public assembly introduces her to the mystery man as well as an intriguing newcomer. Now she’s torn between a charming rake promising the adventure she craves, and a handsome barrister offers security. Only one will stand by her when it matters most. COVERTLY YOURS by Janette Rallison: Paisley Spencer never needed a knight in shining armor—until she finds herself surrounded by three gangsters in a bad part of Phoenix. A handsome stranger intervenes, rescuing her from certain disaster. The only catch? Now she has to pretend to be his girlfriend for the next hour. She finds it’s a job she doesn’t want to end. Novella by Heather Tullis: description coming soon. Review of The Refugee’s Billionaire: I love that these authors are going out of their way to help another author out! 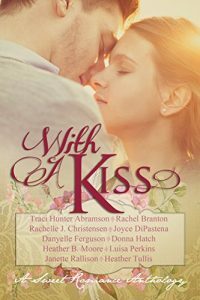 Each one of these authors have written books that I have loved! I’ve actually been able to read one of the stories from this one already. I was able to help beta read The Refugee’s Billionaire by Rachelle Christensen. I love that Shawn in this one has been in two of her other books, Hawaiian Masquerade and The Billionaire’s Stray Heart. It’s always fun to see what some of your favorite characters are up to. Shawn is a great guy in this one. I loved the way he was with Carolina – he was constantly watching out for her and trying to make things better for her. But my favorite thing to see was how he cared for her son, Daniel. Shawn goes out of his way to work to make things better for the people at the Heart of Atlanta Refugee Center as well, even giving up the shirt from his back at one point. Then there’s Carolina. She had been through so much in her young life, from leaving Cuba as a teenager with her grandma, losing her grandma, becoming a single mother. I loved how she used her time to better the lives of others. Carolina is great, but opening her heart isn’t something that comes easy for her. This one’s a quick read. I loved the sweet romance in it, and I didn’t want to put it down. Quite honestly, I want to read each and every novella in this one! This post contains affiliate links, which simply means that if you click my link and make a purchase, I may receive a small commission from your purchase.